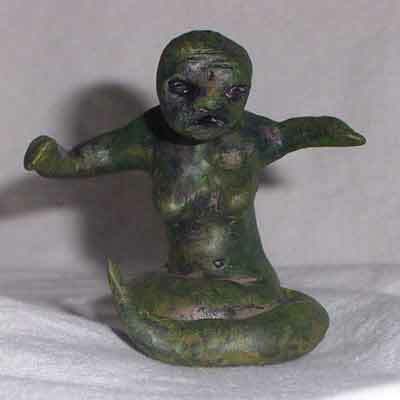 *Little Monster* a hybred between snake (earth) and human, she is a reminder that we must never lose our conection to nature. 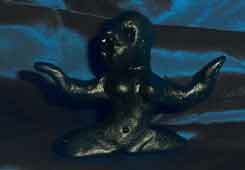 *Fertile Earth* is an altar figure designed to encourage plentiful harvest. 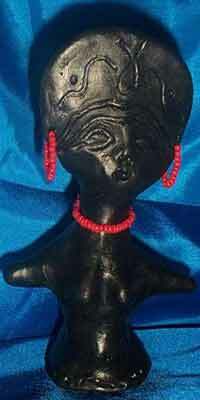 *The Dancing Goddess* is an altar figure to encourage serenity and joy. 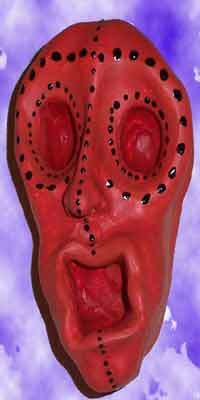 *God's Head* was inspired by primitave African totem masks. 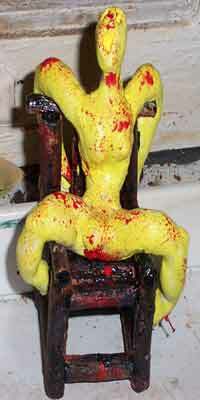 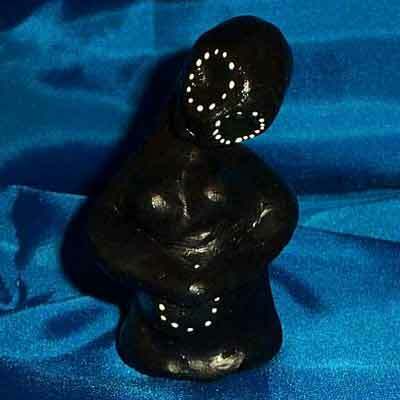 *Little Mother* is an altar figure to encourage fertility and a healthy child.